Taxify to expand operations in East Africa as ride-sharing services battle for market share. This new development will see the Estonia-based company step above its fierce competitor Uber and other local competitors in the region. “Our focus is on providing the most appropriate means of transport for the customers and in East Africa, we can see that boda-bodas are getting the highest value for us,” said Karl Aru, who is Taxify’s Expansion Manager for Africa. Africa has more than 40 percent of her total population in urban centers, which has allowed for the growth of car-sharing companies in the continent. 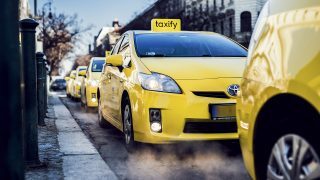 Taxify currently has its operations spread across five cities in the East Africa region; Mombasa, Nairobi, Dar es Salaam, Kampala and recently opened operations in the burgeoning city of Mwanza, Tanzania. However, new investment indicates there will be a future expansion to other major cities in the region and a new round of battle with Uber in the region. Taxify, which recently raised its valuation to the $1 billion mark after receiving a $175 million in funding from investors across the globe, has been insistent about it expansion in Africa. With close to half of its business in Africa and more than 5 million users in total, Taxify says it is still looking into Ethiopia, and a number of other countries also in East Africa to wade off competition. Currently, Africa plays host to nearly sixty ride-sharing services across 21 countries, a figure that continues to rise on a daily basis. As the competition in Africa gets hotter, car-sharing companies have been at loggerheads over the control of the market. However, robust capital and high-end technology have seen both Uber and Taxify hold sway over the market in Africa. In East Africa, Taxify rose to prominence shortly after the launch of its app, by reducing the commission paid by drivers to 15 percent against the usual 25 percent others take in the region. But, competition from Kenya-based littleCab, Dubai-based MondoRide, Uber and local competitors is proving to be a tough one for the company. The prospect of motorized rickshaws and motorcycles in East Africa has been the reason numerous ride-sharing companies are grappling for the biggest market share. In 2017, the motorcycle sector known as “boda-boda” in Kenya raked in Sh600 million a day and Sh219 billion ($2.1 billion) annually, more than the revenue of the country ’s telecommunication giant Safaricom. Ride-sharing services in sub-Saharan Africa are on the increase due to the large market, and with MAx.ng and GoKADA in Nigeria, littleBoda, uberBoda in Uganda, and SafeMoto in Rwanda, no doubt, there is more opportunity for Africa to grow this thriving industry.